Staff was helpful and friendly. Room was very clean. Our room was clean, newly and tastefully furnished, & very comfortable beds. 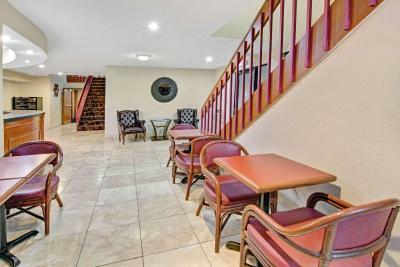 The common areas are modest but well kept. The staff was pleasant and helpful. All at a price that belies it’s value! The hotel was close enough to Lucas Oil Stadium that it wasn't a long trip to get there. I liked the pillows. The shower was hot and the water pressure was good. The bathroom was clean. The bathroom was very nice. The room was clean and comfy. The staff was friendly and I hardly waited to get to my room. Very good value for the money. There was a refridgerator and coffee maker which was great. The tv was a nice size as well. There are plenty of places to eat in the area along with a super store. Free breakfast & coffee. Close to anything & everything person could need. Beautiful property & very well maintained. The room was very comfortable and seemed more upscale vs the price paid. Props to housekeeping. Our room was very clean. Thanks for that. Can walk to Walmart. Lots of food nearby. The bed was super comfortable to come back to after a long day at our company convention/workouts! I was very thankful to have a mini fridge, wifi, air conditioning, and cable. The room was very clean and cozy. I felt safe which was one of my biggest concerns coming to the city from out of state. It's conveniently located around any food place you could dream of. Room was clean, staff friendly, located next to Wal-Mart and Lowe's which were a nice convenience as we needed supplies for my son's spring term in college. Hotel nice, it just looked a bit older. Property was being renovated but kept to one side of the building. Staff was pleasant. Restaurants within walking distance. Breakfast wasn't great. Room served it's purpose. 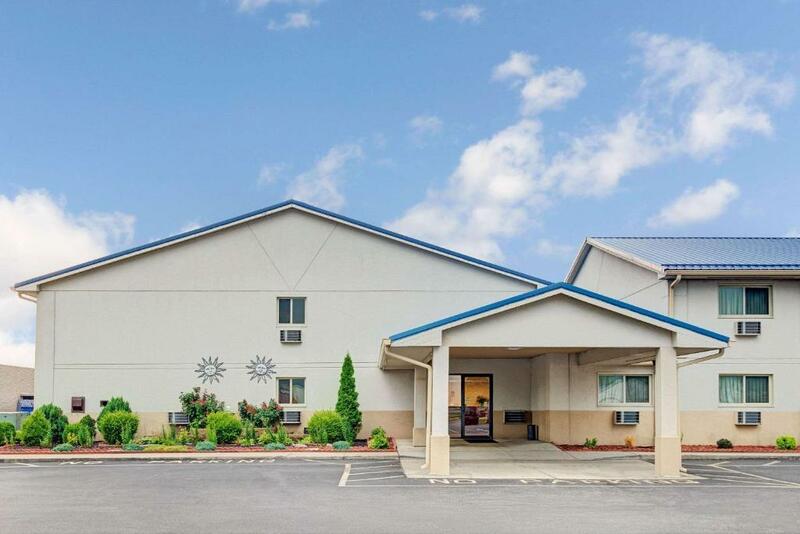 Super 8 by Wyndham Indianapolis This rating is a reflection of how the property compares to the industry standard when it comes to price, facilities and services available. It's based on a self-evaluation by the property. Use this rating to help choose your stay! Set off of I-465, just a short drive from downtown Indianapolis, Indiana, this convenient hotel is near many attractions and offers comfortable guestrooms with relaxing amenities. Super 8 Indianapolis is only minutes from the RCA Dome, Indiana Convention Center and the Indianapolis Zoo. Guests can take the kids to the Indianapolis Children's Museum, then go shopping at the Circle Centre Mall. 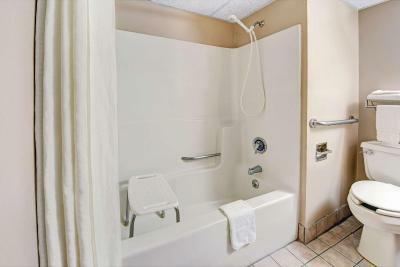 The guestrooms at the Indianapolis Super 8 feature free high-speed wired and wireless internet access. 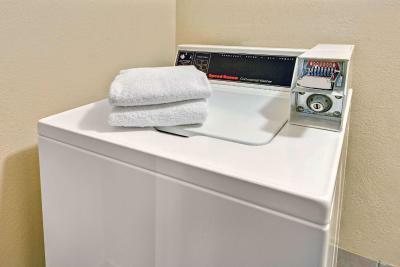 Guests will also appreciate amenities such as guest laundry facilities and a free continental breakfast. 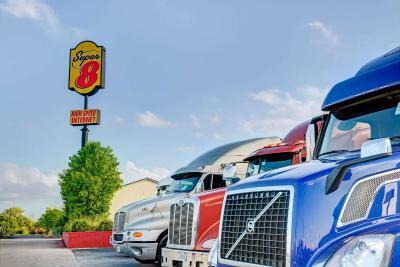 When would you like to stay at Super 8 by Wyndham Indianapolis? This quadruple room has a cable TV, tea/coffee maker and tile/marble floor. House Rules Super 8 by Wyndham Indianapolis takes special requests – add in the next step! Super 8 by Wyndham Indianapolis accepts these cards and reserves the right to temporarily hold an amount prior to arrival. There is a security deposit required for all guests paying with cash. Please contact the property for additional information. A damage deposit of USD 75 is required on arrival. This will be collected as a cash payment. You should be reimbursed on check-out. Your deposit will be refunded in full, in cash, subject to an inspection of the property. I have bad hips and the bed felt like sleeping on a concrete slab. Called after booking to tell them we would not be there until close to 1 am was told they would note it. Was called at 10 pm to see if we were coming and there wouldn’t be a refund if not. Had to call the desk in the morning because our shower wouldn’t work they couldn’t get it to either. Had to wait 10 minutes at the desk to check out because no one was there even after ringing the bell 3 times and will be checking my bank account to make sure I get the $75.00 incidental fee back. Kind of hidden from road. One of the lamps didn't work. The housekeeping services knocked at 10 am to clean the room. Check out was 11. The room wasn't complete when we checked in, needed blankets and cups. The heater unit gave off a funny smell. We didn't complain. We were there for 1 night and to attend the Big10 Championship game. We were in the room for a total of 8 hours. The furnishings were shabby. The chair in the room had holes in the arms. The cost was high for the quality of the room. We gave them a different card to charge instead of the one we booked on but they still charged the one I booked on anyway which meant we incurred foreign transaction charges. Not a difficult instruction to follow. There is a sign for breakfast which is unclear so we thought it ended at 10am not 9am so missed it. Another guest said it was rubbish so we didnt miss out, we went to Walmart across the car park instead. Despite my negative comments I wouldn't be put off, this is a good Super 8 with a comfy bed, large room, decent shower, good selection of TV channels and decent free wifi. Walmart across the car park in convenient and an excellent chinese restaurant next door. Good location- Walmart and many places to eat nearby, clean and quiet room. Good breakfast for such type of hotel.